In April we had some educational leaders from Singapore come to visit our school. They were observing our practices and gaining insight into the New Zealand education system. 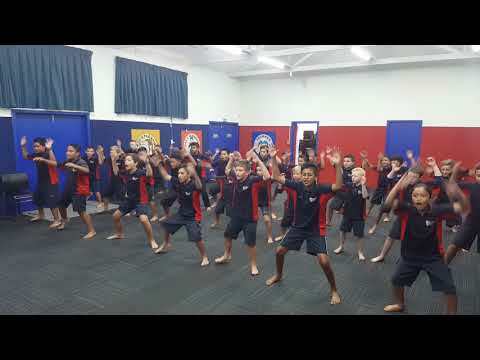 To welcome them, our kapa haka roopu performed a powhiri, and the whole school sung our school waiata to them as a mark of respect. Four of our girls were challenge takers and performed the karanga on the visitors' behalf. Blaize led Te Waka, and Jarvis presented the karakia and the mihi.